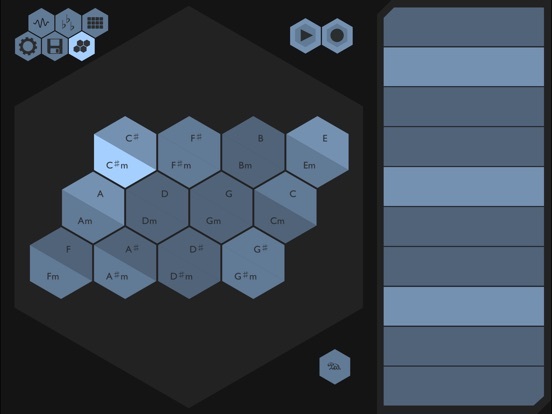 Chordion is a fun new way to make music on the iPad. Choose chords with one hand and play melodies with the other – never hit a wrong note! 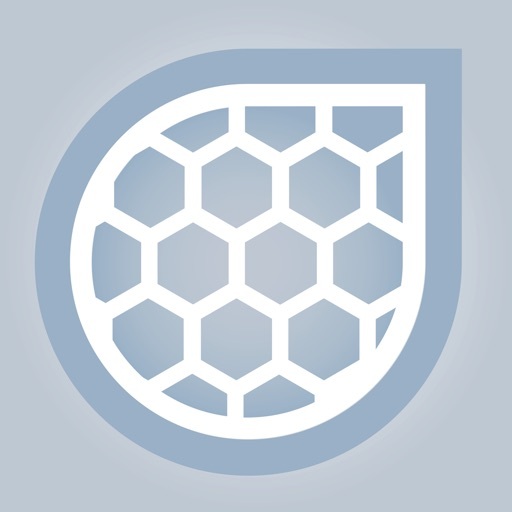 Chordion is great for performing, writing songs, jamming, or having sing-alongs with friends. Chordion makes it easy to play common chord changes in any key. In “auto” mode, Chordion’s keyboard follows the chords you play, letting you strum up and down or effortlessly pluck out melodies. The built-in drum machine & arpeggiator help you keep the beat. 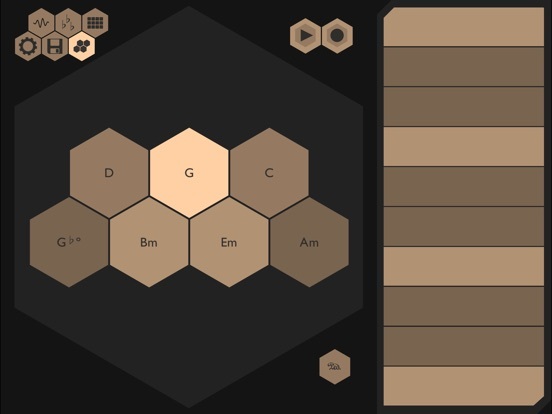 More experienced users will love the wide range of customization options – from the layout of chords to synthesis parameters to exotic scales. 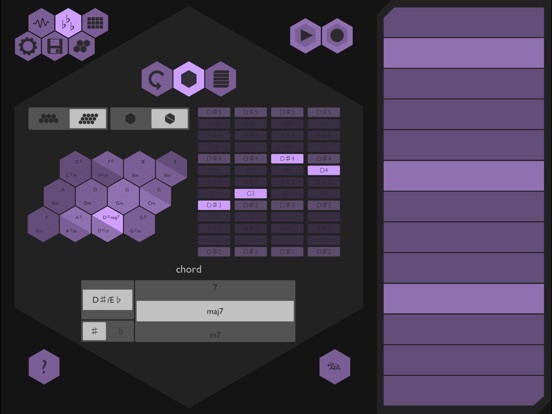 Chordion’s built-in synthesis engine is highly tweekable and easy to use – create echoing lead lines, shimmery chimes, and dreamy drones. 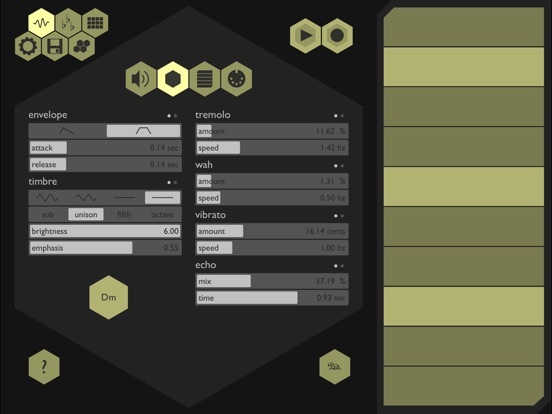 Chordion also supports MIDI, allowing you to control other instruments using Chordion’s unique interface. Fun, inexpensive and surprisingly versatile. Works well as a two channel midi controller, although without anything fancy like pitch bending. Still, well worth the money! 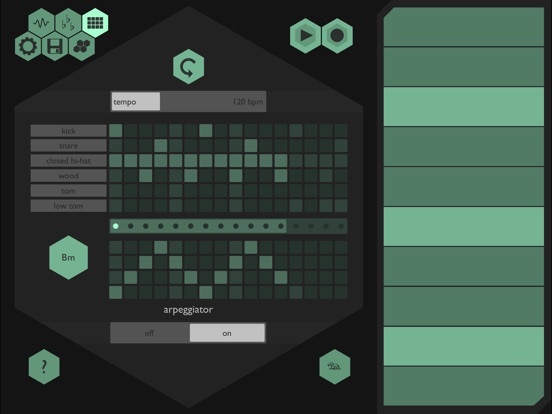 Chordion is a fun new way to make music on the iPad. Choose chords with one hand and play melodies with the other - never hit a wrong note! Chordion is great for performing, writing songs, jamming, or having sing-alongs with friends. Chordion makes it easy to play common chord changes in any key. In "auto" mode, Chordion's keyboard follows the chords you play, letting you strum up and down or effortlessly pluck out melodies. 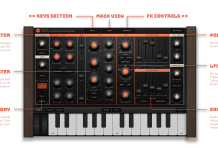 The built-in drum machine & arpeggiator help you keep the beat. More experienced users will love the wide range of customization options - from the layout of chords to synthesis parameters to exotic scales. Chordion's built-in synthesis engine is highly tweekable and easy to use - create echoing lead lines, shimmery chimes, and dreamy drones. 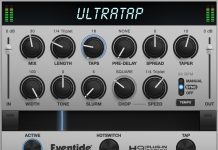 Chordion also supports MIDI, allowing you to control other instruments using Chordion's unique interface.